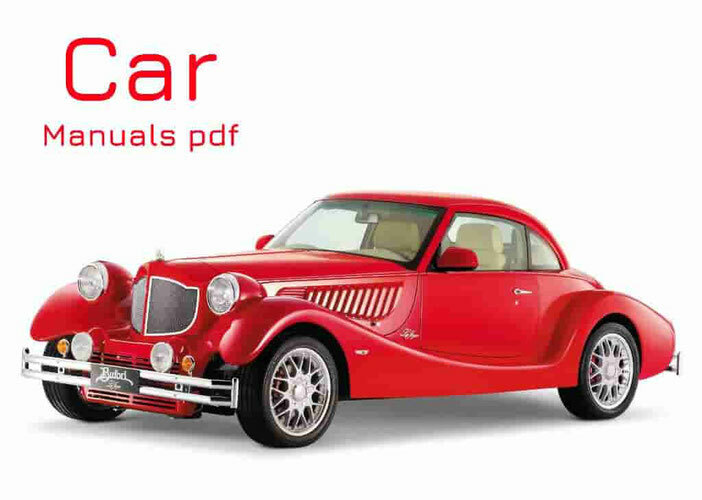 Heinkel Car Manual PDF above the page. Ernst Heinkel, like Willy Messerschmitt (Manuals PDF page) , was a well-known German aircraft designer. Thanks to him, before and during the Second World War, 10,000 bombers and fighters were fired. After the war, Heinkel switched to the production of motor scooters, selling more than 100,000 copies. In 1956, Heinkel produced the first car of its own design, which was similar to BMW's Isetta model, but was driven by a single-cylinder engine that Heinkel developed for its scooters. With a weight of only 245 kg, he could reach a speed of 85 km / h. There were two models - the Kabine-175 and -200. Figures meant the working volume of a four-stroke engine, which developed power of 9.3 and 10 liters. from. At 5500 rpm. Having a fully open choke, it was extremely noisy. The gearbox had four forward gears and a reverse gear. Independent suspension - in front - on rubber rings, and rear - on spiral springs. Hydraulic brakes acted only on the front wheels, while the handbrake acted on everything. At the four-wheeled car rear wheels were located as close as possible to each other so that they created the impression of one wheel. Unlike the BMW (PDF Manuals page) Isetta model, which was equipped with a hinged steering column, a fixed column was installed in the Heinkel model, which made landing and landing difficult. The BMW Company patented its system so that Heinkel would not benefit from the invention. Behind, you could put two children, but they were forced to climb there through the back of the front seats. The same acrobatic maneuver was necessary to check the engine oil level through the slit in the rear sill bar. Since the car could drive on three wheels, the fourth could be used as a spare instead of any of the other three, so the spare wheel was not provided. In 1958, demand for miracles in Germany fell, but Heinkel was unable to finance the development of larger machines. Entrepreneur Ernst Heinkel by this time was too old and sick to successfully develop his business. On January 30, 1958, he died at the age of 71 years. 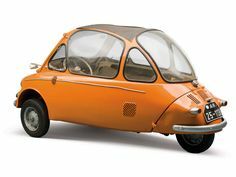 His death marked the end of German cars-"bubbles", but the English company "Troyan" acquired the rights to their production and in 1966, you let the three-wheeled model of Troyan-200.